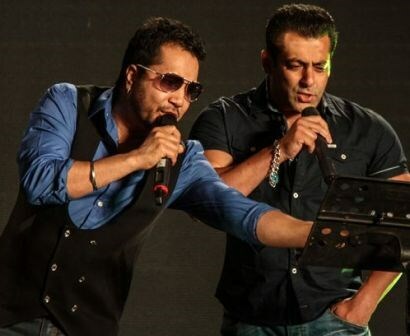 Singer #MikaSingh comes out in support of superstar #SalmanKhan, who has been sentenced to a five-year jail term for #blackbuck poaching in 1998. He said laws in the country should be same for everybody. Popular Singer Mika Singh shared a video on his timeline, where a group of men are beating a harmless kid and pointed out the obvious if Salman Khan can be convicted than people in the video should be punished as well. Mika Singh wrote, "I respect our legal system but law should be same for all. If Salman Khan can be convicted though he is celebrity, then such people who are assaulting a poor guy and making a video of their criminal act should also be punished... They are safe because they are not Salman Khan." A Jodhpur Court found Salman, guilty under Section 9/51 of the Wildlife Protection Act, 1972 for killing two blackbucks, an endangered species, hunting of which is prohibited by law. The incident took place in Kankani village near Jodhpur on October 1-2, 1998, during the shooting of Bollywood film "Hum Saath Saath Hain". Mika Singh has crooned some of the biggest hits for Salman Khan, songs like 440 Volts, Jumme Ki Raat and many more.